Uobei near Shibuya station is a fun spot for sushi, especially if you are dining out with your kids. This is a new trend in Japan based on the kaiten-zushi, conveyor belt sushi, model. In this new style sushi is only prepared once the customer orders it. So there is zero waste with any sushi being thrown away after a certain amount of time has passed. This is the future of fast food sushi, as new shops opening in the city take on this method. 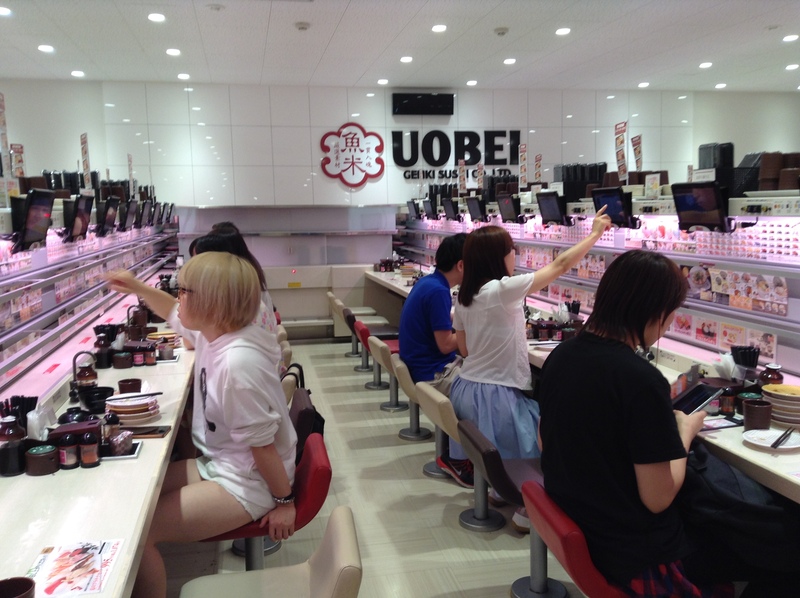 Uobei is a large restaurant with aisles of seats facing a counter. Diners place an order on a computer screen in front of them. The menu is in English as well and is complete with pictures. Shortly after placing your order a train comes shooting from the kitchen to your spot and stops. 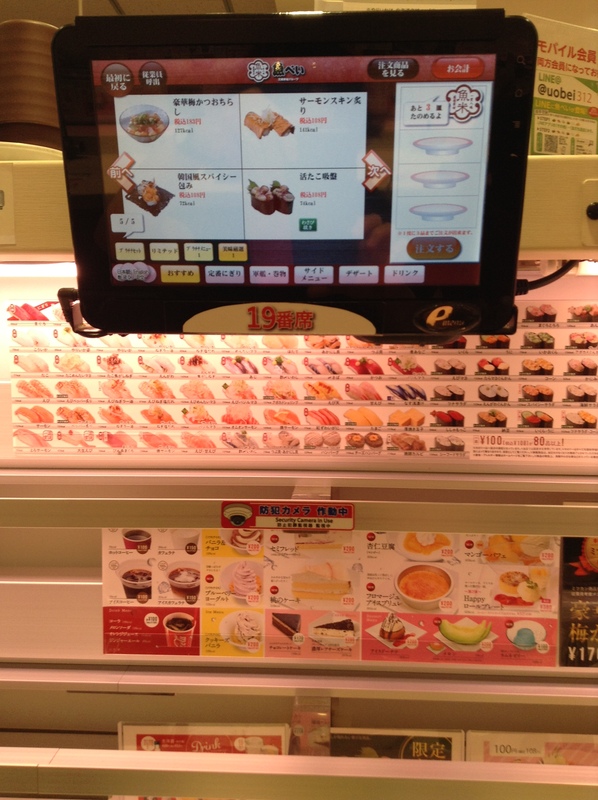 Once you have taken off your order you push a button on the screen to send the train back to the kitchen. Placing your order is half of the fun as diners scroll through the screen selecting sushi. It’s very cheap and the quality is fine. It’s not gourmet standards, but it is kid-friendly and a fun meal out with the family or friends. Uobei is part of the Genki Sushi chain.